The book The Rescue of an Old Place tells the story of restoring a house and its garden in the late nineteenth century. The location is Hingham, Massachusetts, a New England seacoast town. The author Mary Caroline Robbins shows little tolerance for those who would doubt America’s love of flowers. The book traces her journey to restore the flower gardens on the seacoast property she and her husband had purchased. 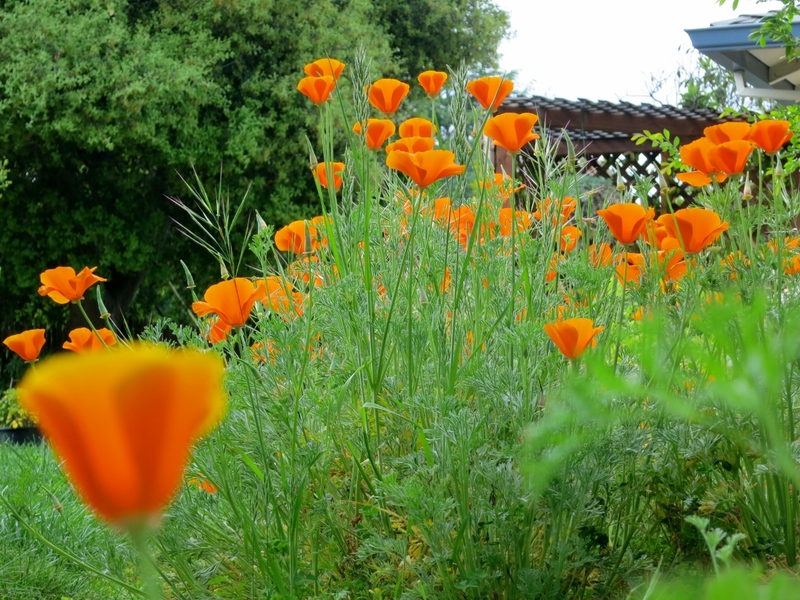 Eschscholtzia, the California poppy, is the State flower. She says, “The State flower of California was introduced to the children of that commonwealth as the Eschscholtzia before they could spell it, but this does now prove any lack of love or admiration for it on their part. Nineteenth century Rochester, New York seed company owner James Vick (1818-1882) loved flowers. Because of his own passion for flowers Vick tirelessly encouaged growing them in the garden. Like Vick, Mary Caroline Robbins thought flowers were an essential part of any garden.